Set aside five minutes of free writing time to join me on writing about “Here”, today’s topic. Remember I’m applying my Five Minute Friday posts toward education and work, but you can write about anything about “Here” that sparks your interest. Right now, right here is your moment. It is your moment to be, to do. No dwelling on yesterday and it’s struggles, no worries of tomorrow. Tomorrow will be here when tomorrow comes. 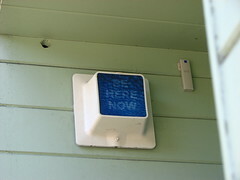 As for now, this moment, we are in the here and now. So, now that now is here, what are you to do? Step out in the day, step out in all you are and be the best you that you can be. Here and now is your moment to do your best and succeed in all you can. No worries for failure because if failure should occur in the here and now, this moment will too pass and the future will become the here and now that you can triumph in. So no worries about yesterday, and let tomorrow be the here and now when it comes. To be and do the best you can in the here and now is to focus on the here and make the most of the moment, make the most of your abilities in the now. This is how you learn. This is how you succeed. Focusing on yesterday in the here just brings worry which results in obstacles. Obstacles become hurdles that hold you back. They hold you back from learning and success. Worrying of yesterday in the here brings struggle that can be avoided if you realign your focus on the here and now, and nothing else. This is how you learn. This is how you succeed. Focusing on tomorrow in the here brings worry and struggles about what could happen if only, what if, what might, and more. These words to yourself in the here emphasizes the possibility and worry of the future, neglecting the here and now. This neglect reinforces failure in the here and now. So let tomorrow be. Tomorrow will take care of tomorrow when it comes, when it becomes here and now. Let this moment here be your focus, be your work, and be our vision. This is how you learn. This is how you succeed. We are neighbors at Lisa-Jo’s today! Very nice take on the prompt! I remember years ago – I was stuck in the If Only’s and What If’s – and the Lord spoke to my heart and said, I am not the I Was, (which is what IF Only focuses on) and I am not the I May Be (which is what the What Ifs fear) – I am the I AM… it was a powerful call to do just what you are writing about – to stay present – in the here and now! Love this! ‘No dwelling on yesterday and it’s struggles, no worries of tomorrow’ These are the two things that so many times I let rule my thoughts. Thank you for reminding me that now is all that matters. Beautiful words.